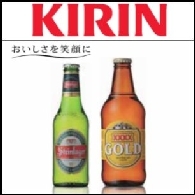 Kirin Holdings Company, Limited, formerly Kirin Brewery Company, Limited, is a Japan-based holding company engaged in the manufacture and sale of alcohol beverages and soft drinks. 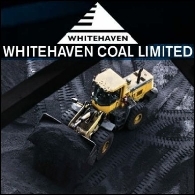 The Company has four business divisions. 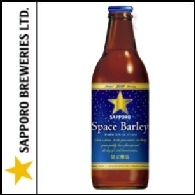 The Alcohol Beverage division is engaged in the manufacture and sale of beer, sparkling liquor and new alcohol beverage products, as well as alcohol beverage import, automobile transportation and engineering business through its subsidiaries. 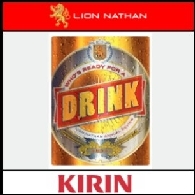 The Beverage division manufactures and sells soft drinks and fruit juice. The Pharmaceutical division is involved in the manufacture and sale of pharmaceutical products including anemia medicine and leucopenia medicine, as well as the research and development of pharmaceutical products. The Others division is engaged in the flower-related business, as well as the manufacture and sale of flavoring, fruit juice, milk and dairy products, among others. 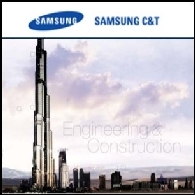 The Company has 345 subsidiaries and 22 associated companies. Friday Asian stocks received a positive lead from Wall Street. US stocks overnight posted a slim gain, supported by better-than-expected retail sales data and analyst upgrades of a batch of blue-chip companies. Yesterday most Asian markets closed lower on renewed worries about China&apos;s policy tightening. Hong Kong&apos;s Hang Seng Index slid 1.4 per cent, while Shanghai Composite lost 2.4 per cent, with China&apos;s banking and property shares dropping sharply. Singapore market was also impacted by China&apos;s property bubble concerns, and Straits Times slid 0.5 per cent. Japan&apos;s Nikkei 225 was off 1.1 per cent as strong yen hurt exporters. Asian shares mostly declined yesterday on uncertainty about the sovereign debt issue in Greece, Spain and Portugal. Japan&apos;s Nikkei stock average sank 1.1 percent to a two-month low at the close. South Korea&apos;s Kospi fell 0.9%, while Hong Kong&apos;s Heng Seng Index lost 0.6%. But Singapore&apos;s Straits Times Index gained 0.4. US shares tumbled sharply for a third straight day on Friday as continued worries about the White House&apos;s plan to limit bank risk-taking. Google&apos;s disappointing earnings also hit the tech stocks. For the week, the Dow dropped 4.1 per cent, the S&P 500 lost 3.9 per cent and the Nasdaq tumbled 3.6 per cent. Wall Street stocks tumbled overnight on a second downgrade of Greece&apos;s sovereign debt in a month and Citigroup&apos;s capital raising. The US dollar rebounded as investors cut riskier assets. The US dollar index, which measures its performance against a basket of major currencies, rose to its highest level in more than three months. Most Asian stock markets were lower Friday due to some profit taking selling before the release of US non-farm payrolls data. Asian markets were mixed on Wednesday with a flat lead from Wall Street. Tokyo stocks rebounded on upbeat trade figures and bargain hunting after the market opened lower in the morning. Hong Kong and Seoul share declined as investors the U.S. economy did not grow as quickly as previously forecast in the latest quarter. Overnight Wall Street posed a solid gain as an upbeat sentiment that the worst is over increased investors&apos; appetite for riskier assets. 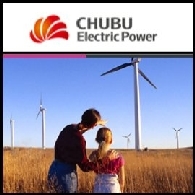 The shares were lifted by a round of buying in financial shares and a jump in US industrial production data. 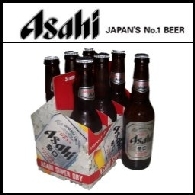 Japan&apos;s Asahi Breweries (TYO:2502) denied a newspaper report that it is competing with Suntory Holdings to buy European soft-drinks maker Orangina. 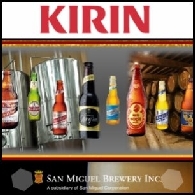 Philippines&apos; food and beverage giant San Miguel Corp. (PSE:SMC) said its second-quarter net profit rose sixfold from a year earlier, largely due to the asset sale to Japanese brewer Kirin Holdings (TYO:2503). US stocks fell for a second day on Thursday as investors worried over the key employment figures, which are scheduled to release on Friday. Most economists expect the data will show the unemployment rate climbed to 9.6 per cent, from a 26-year high of 9.5 per cent in June.